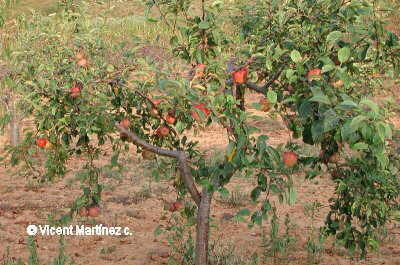 Perennial tree of the Rose family -rosaceae- up to 15 m. Greyish trunk and pubescent young branches. Leaves ovate – elliptic, dentate, white velvety below till 15 cm long. White or pink flowers till 5 cm. 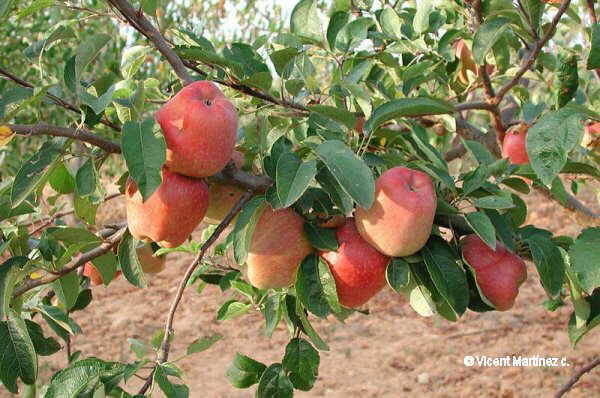 The fruit (apple) is a pome, more than 5 cm wide, very variable in colour according to the varieties. Native from Middle East, formed by hybridization of wild species. It can be found in many places of the world and sometimes naturalised.